Azuma's grandfather is a friend of Sachie's grandfather. Azuma moves into Raizo's house when his grandfather is in the hospital. Shortly after moving into Raizo's home, he transfers into the same school as Sachie and Rakuto. Like Rakuto, he is very popular with the girls at his school. 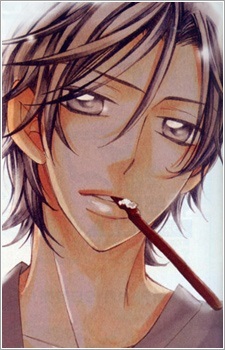 Azuma has been shown to have feelings for Sachie, but his attempts have been failures. In volume 7, Sachie and Rakuto are shown to have a 99% compatibility chance, and Azuma and Sachie have 86%. Azuma and Rakuto treat each other as rivals, They are competing for Sachie.